I always think when the size goes to extreme, the increase of complexity goes up dramatically, like micro sculpting or giant paint presented here. 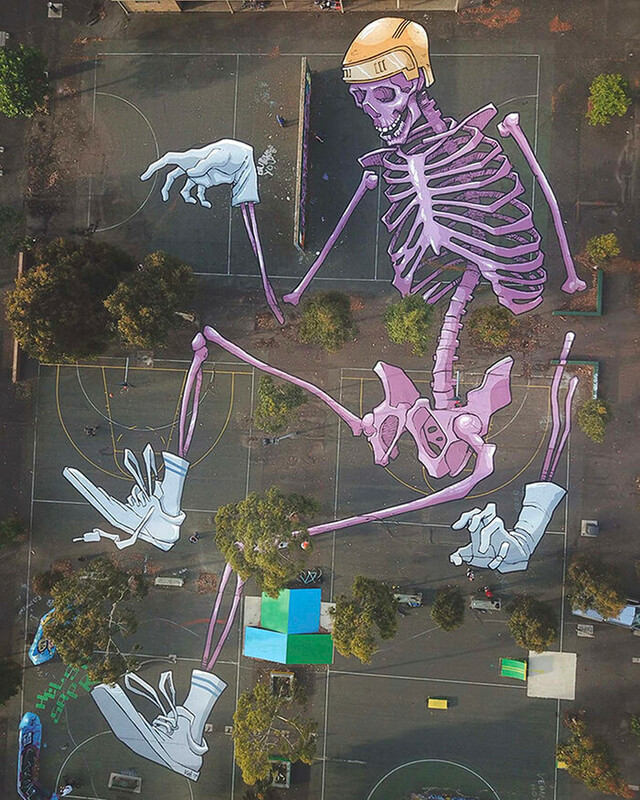 From parking lots to skate parks, Melbourne-based artist Kitt Bennett paints large illustrative murals on an unconventional surface: the ground. 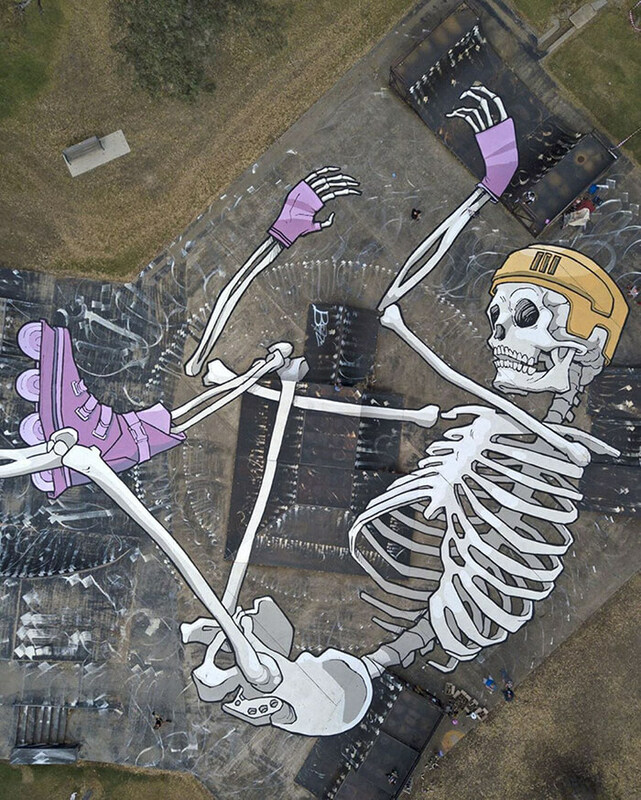 The best angle to view such “street art” is from bird’s view. 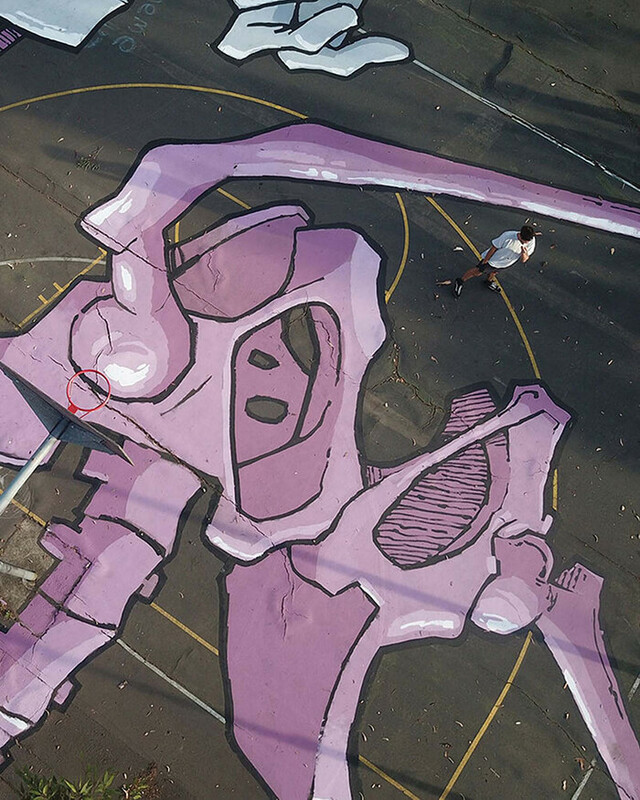 The whole process includes using large buckets of paint and rollers to cover the large areas and adds shading, highlights, and outlines to create the illusion of depth. It doesn’t sound that complicated right? 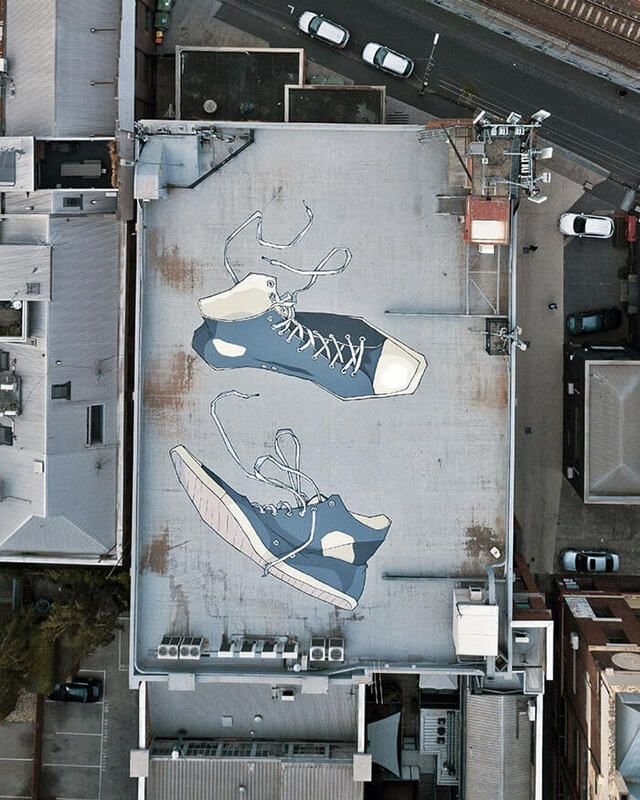 But actually it is quite hard to keep the portion since the whole paint is too large to view when you stand on the ground. 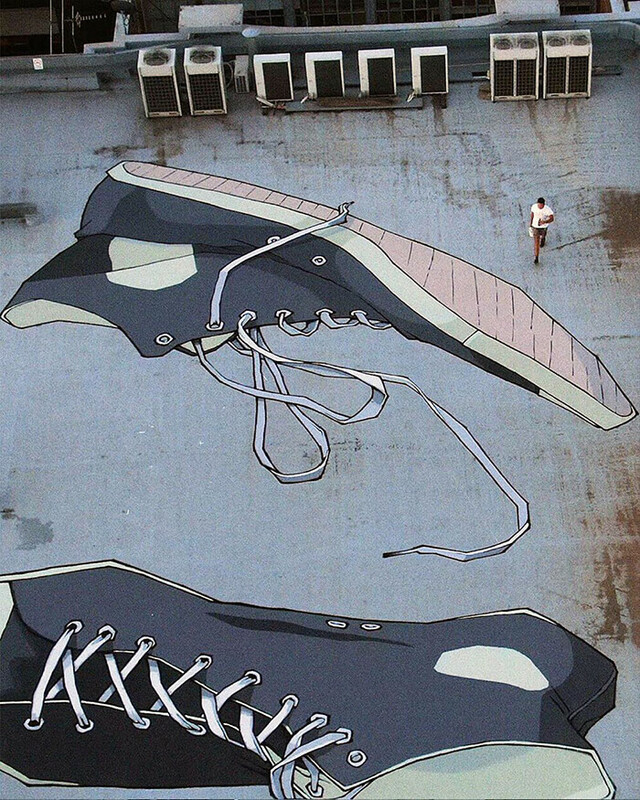 Honestly, I am no idea how someone is possible to draw such things on the streat. 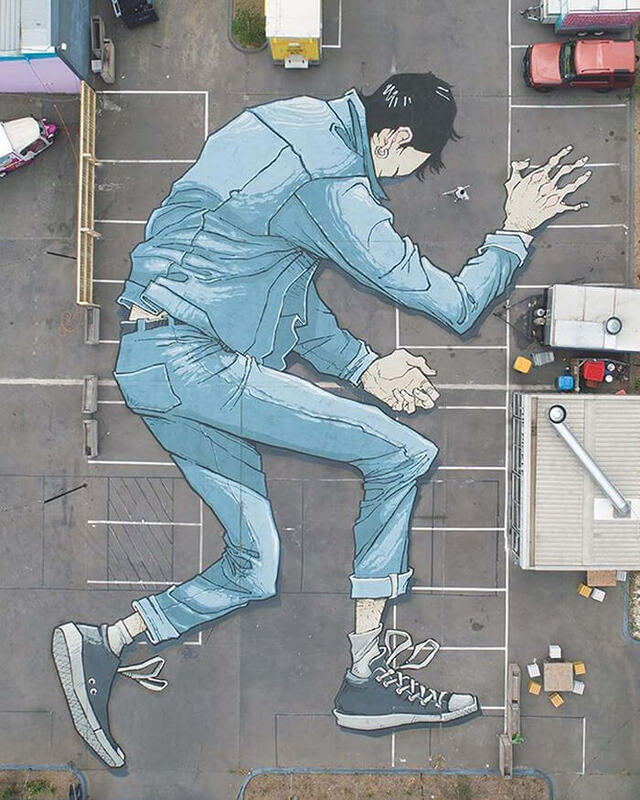 To see more of his ground paintings and other works on more traditional surfaces, follow Kitt Bennett on Instagram.